A small group of Orange Feast-ers met up this Friday to chase away the winter chills with some spiced culinary delights. We started the evening with Mel's delicious mulled wine, and tested our tastebuds Masterchef-style by trying to guess all the ingredients. While sampling the wine, some za'atar flatbreads went into the oven, and we started to discuss the different 'taste groups' of spices, as outlined by Ian 'Herbie' Hemphill in several of his comprehensive 'Spice' reference/recipe books, and how to combine them in a successful blend. We pulled out the contents of the spice cupboard, and started choosing some blends (some ground fresh by us on the night, some commercial) in which to roll our lamb loins and backstraps. Having decided on homemade baharat & indian blend, and Herbie's smoky BBQ blend and Slice of Orange's spicy chicken blend, the lamb went into the pan and oven, until pink and juicy. We all sampled a small portion of each spice-rubbed loin, served up with some roasted beetroot, feta, & rocket salad, and some caramelised onion couscous, and decided on which blend we each preferred. Next up, Shara made churros, which we rolled in cinnamon and sugar, and served with chocolate sauce, and we sampled Kasia's delicious sticky cardamon semolina cake. We all went away feeling like we knew a little bit more about spices than we did before. We were so busy cooking and eating, that the photos were left until the end (whoops) - so you can see how delicious our lamb and salad was, by the small amount of leftovers! Sprinkle yeast mixture with salt then add in remaining flour and stir to combine. Turn out onto lightly floured bench and knead for 10 minutes or until smooth. Place in lightly oiled bowl, cover with gladwrap and stand for 2-3 hours until doubled in size. For za'atar, place thyme in mortar, and lightly crush with pestle. Add remaining ingredients and stir to combine. Preheat oven to 220C and place pizza stone or heavy tray on middle shelf. Knock down dough, turn onto lightly floured surface. Divide into 8, shape into 12cm ovals and cover and stand to rise for 30 mins. Drizzle each bread with olive oil, press fingertips into surface to dimple. Sprinkle generously with za'atar. Place each dough onto pizza stone or tray and bake for 12 minutes until golden. Repeat with remaining dough. Best served warm on day of making. Churros are a delicious Spanish doughnut that are rolled in cinnamon sugar and served with a rich chocolate sauce. This is the recipe I used to make the churros however it turned out very runny and couldn't be piped. I don't think I added the flour to the milk mixture when it was still hot so this might have been the problem, maybe it is supposed to be like a choux pastry whereas mine was like pancake batter. I added an extra cup of flour to thicken the batter which worked but the churros were a little stodgy. Next time I might try this recipe. For the chocolate sauce melt the chocolate, rum and a little cream. Cool a little then stir in remaining cream. Serve in a small but deep bowl for good dip-ability! Bring milk, sugar, butter and vanilla beans and seeds to a boil in a medium saucepan. Discard vanilla beans. Remove from heat. Sift in flour. Stir with a wooden spoon until combined and dough comes away from side of pan. Remove from heat. Stand, covered with plastic wrap, for 10 minutes. Beat in egg yolks with wooden spoon, one at a time. Spoon dough into a piping bag fitted with a 2cm star nozzle. Heat oil to 180°C (350°F) (when a cube of bread turns golden brown, oil is hot enough). Pipe 5cm lengths into oil, cutting off the dough with a sharp knife. Place caster sugar and cinnamon in a flat bowl. Our July meeting explored all things French. The lovely Alison demonstrated the making of Brioche. While that was left to rise we had a good excuse to sit around and feast on French nibbles and sip French bubbles, needless to say it wasn't a difficult wait. Along with some brioche prepared earlier we enjoyed pate, white bean dip, mushroom dip, French goats cheese and quince paste with baguette and sour dough. After the first rise of the brioche, the dough was kneaded a bit more and then we shaped it into mini loaves and Brioche a Tete. During the second rise we enjoyed dessert. The crème brulee and pear and almond tart were delicious. Mix together flour, sugar, salt and yeast. Warm milk. Add milk and eggs to flour and develop dough, kneading by hand or in a mixer with a dough hook. Add flour if too sticky. Dice butter and place on top of dough without mixing. Cover and leave to prove until doubled in size. Knead butter into dough and shape into loaves or desired shape. Brush with egg or milk and bake at 220C until baked. 1. Put all the ingredients for the alcohol reduction into a medium saucepan and place over a high heat. Bring to the boil and reduce to a thick syrup. Remove and discard the bundle of thyme, and put the reduction to one side until it is required. 2. To start the parfait, fill a medium saucepan with cold tap water and heat to approximately 50ºC. Combine the livers and salt in a sealable sandwich bag. Crack the eggs into another sandwich bag, with the butter in a third. 3. Remove the saucepan from the heat and place the bags in the water, being careful to keep the tops of the bags out of the water. Allow the bags to warm for 10 minutes so that all the ingredients are the same temperature before you start mixing them. 4. Pre-heat the oven to 110ºC / gas mark 1/4. 5. After 10 minutes, remove the bags from the water and put the livers and eggs into a tall container and add the alcohol reduction. Blitz smooth with a hand blender. Slowly add the melted butter to the liver mixture while blitzing as if making mayonnaise. When all the butter has been fully incorporated, pass the mixture through a fine sieve lined with a double layer of muslin. Squeeze out as much of the mixture as possible, then stir in the whipping cream. 6. Pour the mixture into eight eight centimetre diameter ramekins so that they are two-thirds full. Place the ramekins in a deep roasting tray, and pour just-boiled water into the tray until it reaches two-thirds of the way up the sides of the ramekins. Cover the roasting tray with foil and place it on the middle shelf of the pre-heated oven. 7. After 15 minutes start checking the parfaits by carefully removing the foil and inserting a digital probe into the centre of a parfait. Once the temperature reaches 62ºC, remove the roasting tray and take the ramekins out of the water. Leave them to cool for 20 minutes at room temperature before chilling in the fridge, for at least six hours or overnight. 8. About 30 minutes before serving, remove the parfaits from the fridge. Just before serving, sprinkle with a thin layer of demerara sugar and brûlée with a blow-torch to form a glassy top. Empty the can of white beans into a colander placed in the sink, rinse well with cold water and let drain at least 5 minutes. While beans are draining, wash basil leaves, spin dry in salad spinner or dry with paper towels, then put basil in the food processor and pulse until roughly chopped. Add beans, lemon juice, tahini paste, and minced garlic and process until beans are well pureed, about 1 minute. When mixture is blended, add olive oil through the feed tube, 1 T at a time. Taste mixture to see if you want more lemon juice, then season with salt and fresh ground black pepper and pulse a few times to mix in. Garnish with fresh herbs if desired, and serve with pita bread, veggies, or crackers. Using a food processor or blender, puree all the ingredients except the red peppers. Add water if necessary, 1 tablespoon at a time, until the bean puree is completely smooth. Top with the red peppers and serve. Melt butter in a large frypan over medium heat, and then sauté onions until they just start to turn tender and translucent – about 5 minutes. Add mushrooms, red peppers, ham, and parsley; cook, stirring occasionally for an additional 5 minutes. Add brandy and stir until it has evaporated a bit – about 90 seconds. Remove from heat and stir in breadcrumbs, salt and pepper. Serve warm or chilled. Place six 3/4 cup capacity ramekins in a baking dish or large roasting pan. Place cream and vanilla bean in a saucepan over low heat. Simmer for 3 minutes, then set aside for 20 minutes to all the vanilla bean to infuse. Return the cream and vanilla to a low heat, add the egg yolks and sugar and stir for 6-8 minutes or until the mixture coats the back of a spoon. Remove and discard vanilla pod. Pour evenly among the prepared dishes. Pour enough boiling water into the baking dish to reach halfway up the sides of the dishes. Bake for 35-40 minutes or until the custards are set. Remove from the baking the baking dish and refridgerate for 1 hour until cold. Robs tip: if your crème brulees appear to have split at this point, replace the boiling water in the baking dish with iced water and sit the brulees back in to cool rapidly, this should save them! When ready to serve, place the ramekins in baking tray and sprinkle the tops with the extra sugar. Use a brulee gun to caramelise the sugar. Alternatively place until a hot grill (you may like to pack ice around the brulees to stop them melting) or sear with a very hot metal spoon. In the meantime butter and flour a 30cm round pastry tin. On a floured surface gently roll out your pastry until its about 3mm thick. Lift it into the prepared tin, and gently press the pastry into the base, running your fingers around the edges to make sure it's all pressed into the 'seam'. Prick with a fork and return to the fridge for at least another 30 minutes. In a small pot combine the sugar, spices, orange rind and wine, if using, with 500ml water, and bring to the boil. Drop in the pear quarters, cover with baking paper, and turn down to a simmer. Cook for about 20 minutes, or until the pears are soft. Strain (keeping the poaching liquid for another time) and set the pears aside. For the frangipane filling, beat the butter and sugar until pale and creamy. Stir through the almond meal, eggs and lemon zest until well combined. Fill your tart case with the frangipane mix and press the pears into the top. Return to the oven at 180°C and bake for about 40 minutes, or until the top is golden and it feels firm to the touch (check the middle, it is always the slowest to cook!). 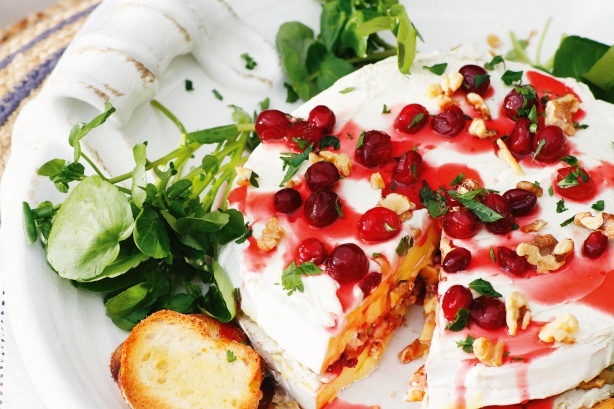 Serve with cream, ice cream or crème fraiche. June was our experimentation night. We prepared lamb stew two ways to see if browning the meat does make for a better stew. We used the lamb recipe below, browning one and just dumping all the ingredients in for the other, and baked both pots in the over for quite a few hours... Ok we admit, we were having such a good time by then we forgot to check them when we should have. So after 4 hours in the over we tested both stews and the non-browned one was the best. It didn't taste tough like I thought it might, the meat pulled apart beautifully. The browned stew was possibly a tad overdone but I still think the other would have been better anyone. Following this we shared a delicious dinner for dip and cheese followed by braised octopus. Finally we enjoyed hot chocolate taste test. Kasia brought along a range of hot chocolate brands and we tried them all. Lindt chocolate flake hot chocolate and Vittoria's Chocochino were our favourite. At our first meeting of 2013 we enjoyed fried zucchini flowers and a spinach quiche all from home grown vegetables. Here are the recipes we cooked together and shared. Remove stamen from flowers. Check for insects. Combine stuffing ingredients. Gently place a heaped teaspoon of stuffing inside the zucchini flowers, trying to rip the flower as little as possible. Twist the top to close. Heat a pan of oil and when ready, dip the flowers in the batter to coat and deep fry a few at a time until crisp. Mix all the flours together gently add iced liquid. Briefly stir- can stay lumpy but do not overstir. Dip ingredients immediately into batter and deep fry in hot oil. Preheat oven to 180C. Grease and line 2 x 21cm round tins. If using raisins, place in a bowl and cover with warm water to plump them up. Place eggs, oil, and sugar in bowl of electric mixer, and beat until creamy. Fold in sifted flour, bicarb, and baking powder. Stir in courgette (and raisins if using). Heat oil in a large frying pan over medium-high heat. Add onion. Cook for 3 minutes or until softened. Reduce heat to medium-low. Add silverbeet. Cover. Cook, stirring occasionally for 10 minutes or until silverbeet has wilted. Remove from heat. Cool. Arrange mixture in pastry case. Place eggs, cream and cheese in a large jug. Whisk to combine. Season with salt and pepper. Stir in nutmeg. Pour over silverbeet mixture. Top with ricotta. Bake at 200°C/180°C fan-forced for 40 to 45 minutes or until golden and just set. Serve. For our November meeting we shared delicious Christmas food. Whiz goat's cheese and gorgonzola in a food processor until smooth. Remove kernels from corn and combine with paprika, green onion, coriander and eggs in a bowl and mix well. Add flour and stir until just combined, then season to taste. Heat oil in a large, non-stick frying pan and cook scant tablespoons of corn cake batter over medium heat until cakes are golden brown on both sides. Top corn cakes with light sour cream, chilli jam and proscuitto. Serve sprinkled with chopped chives. Brush bread croutons with melted butter and toast in the oven until crisp. Heat oil in a saucepan, add onion and cook, covered, over low heat for about 20 minutes until very soft. Stir in brown sugar and vinegar and stir over medium heat for 1-2 minutes, then season to taste. Spread goat’s feta over croutons and top with onion marmalade. It's hard to believe, but orangeFEAST has been going for over 3 months already! Friday night saw our 4th gathering. It was a casual affair of pizza, pizza, and more pizza. We all had a go at making different types of pizzas, and we ate lots. And lots. And lots! We are a group of women who love to cook, eat, and talk about food. We have started meeting monthly to do these things together. These are our recipes.